“We travel not to escape life, but for life not to escape us” perfect line by anonymous to start a journey. So we started our journey from Howrah Station in Saraighat Express at 3.30 PM sharp after paying a short half day visit at office!! [happy] Train journey was so far good & we arrived at Guwahati next morning around 10.00 AM. 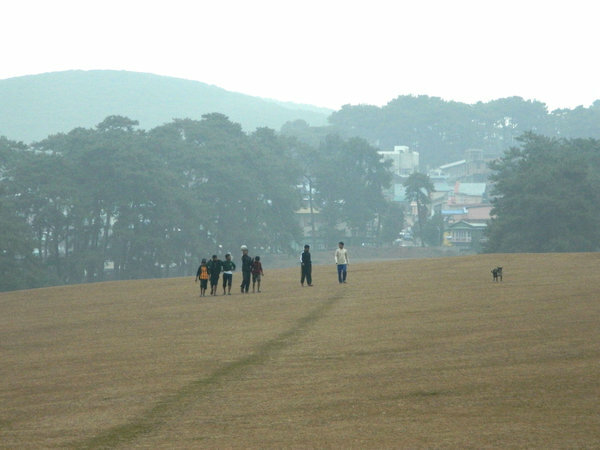 Shillong is very popular destination for travel freak Bengalis & there should not be any difficulties in finding hotels/cabs if not booked before as there are plenty of options.cool: We have got one Honda City Cab outside of Guwahati Railway Station & agreed to pay 1200 bucks to reach Shillong after certain bargaining. 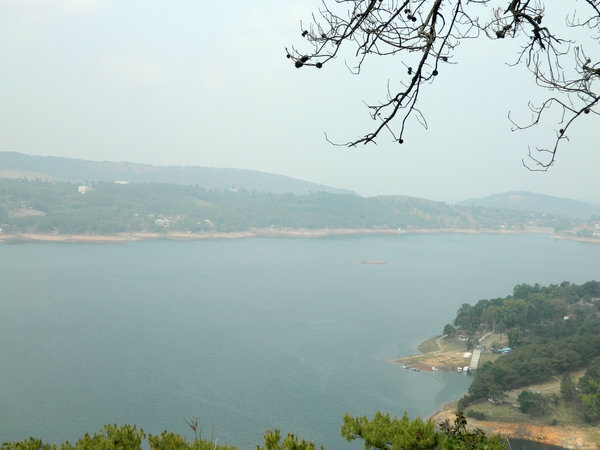 After two hours of drive, we reached picturesque Umiam Lake from where Shillong is another 40 minutes’ drive away. 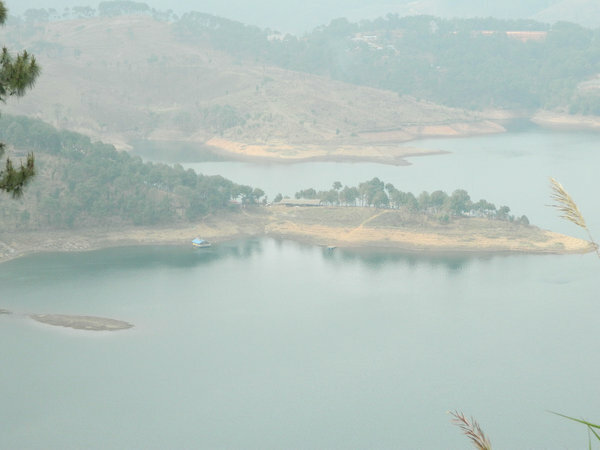 There is one Meghalaya Tourism Resort situated at the bank of Umiam Lake which is bit costly though pocket wise. 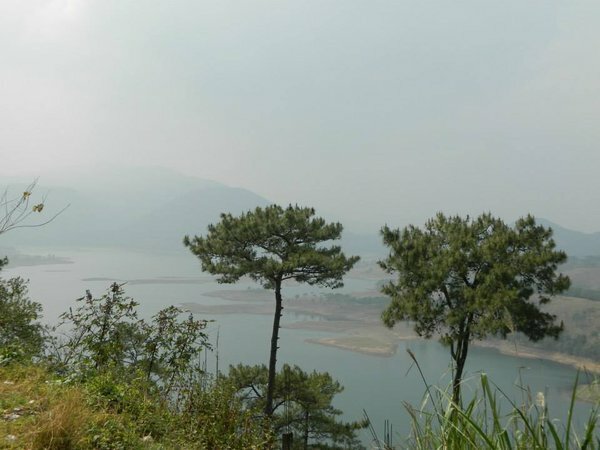 We got the whole glimpse of Umiam Lake from view point. 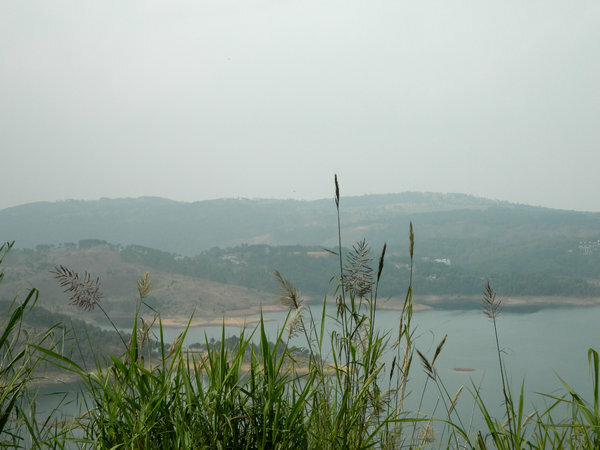 Some More pics of Umiam Lake..
We checked into Eden Residency, adjacent to Shillong Police Bazar. Hotel was quite good as per tariff. After quick lunch, we booked another cab for local sightseeing’s. Weather was already cloudy & then it started drizzling. 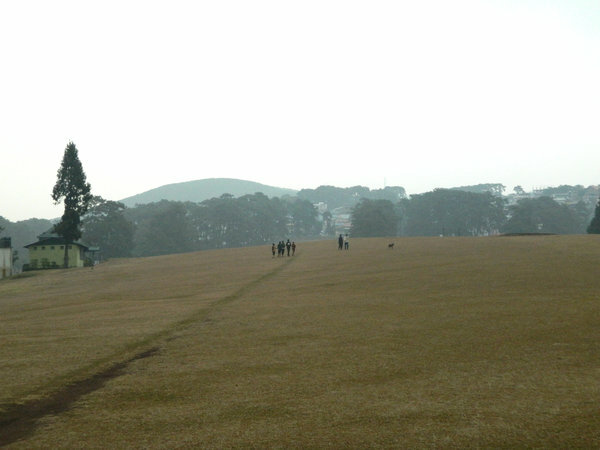 First we headed towards Shillong Golf Course. 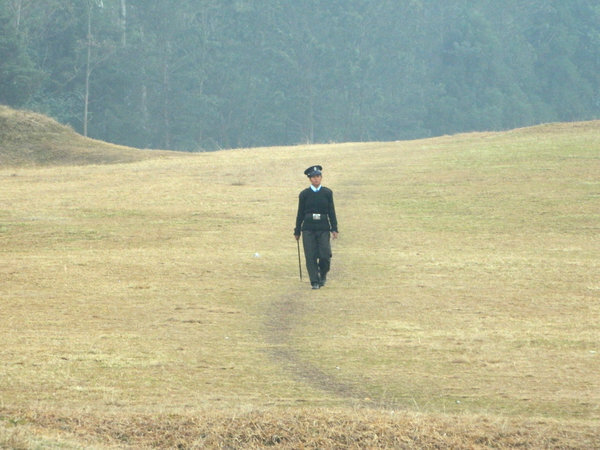 It is one of the oldest Golf Courses in India, commissioned during British Regime. It was getting darker so couldn’t get good snaps. Here goes some of the snaps of Golf Course.